Handring Maze – Artemis International Inc. 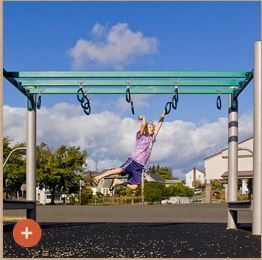 The Handring Maze is an overhead climber, requiring precise timing as children cross from one ring to the next. Promotes dramatic play as children imagine they are circus acrobats or jungle monkeys.